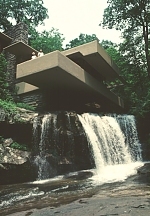 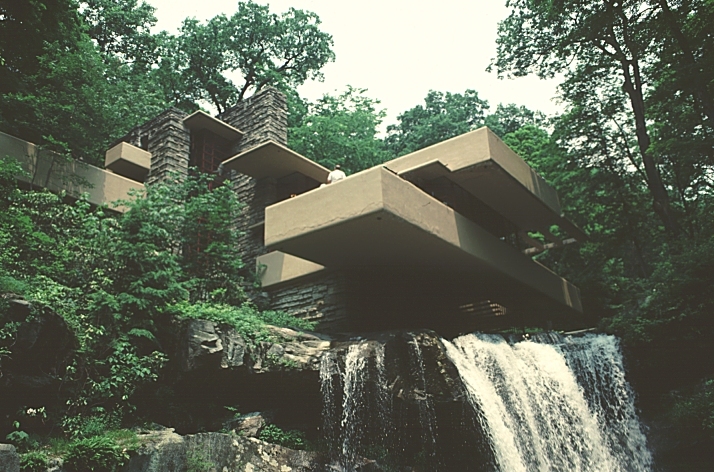 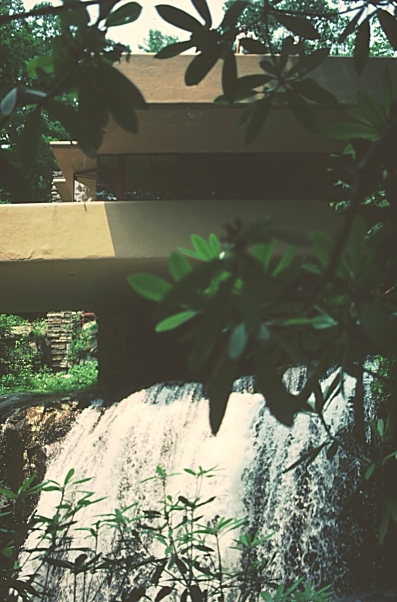 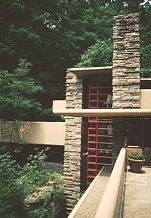 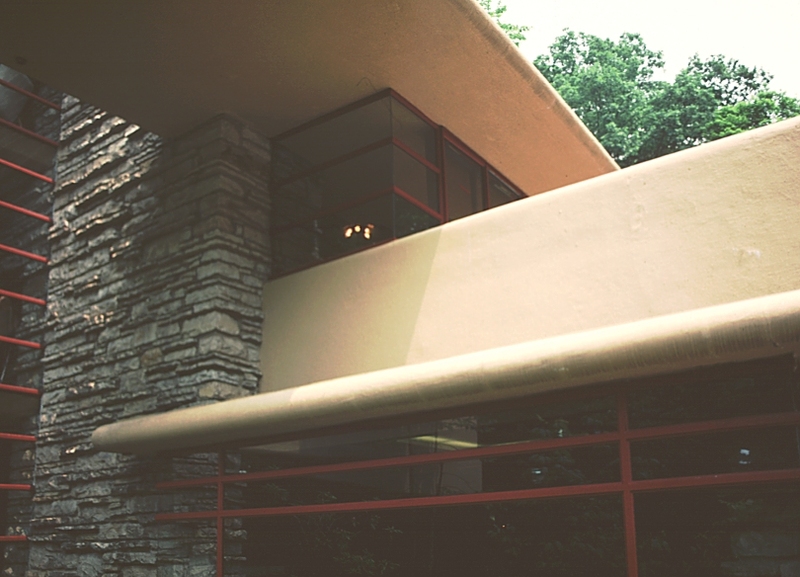 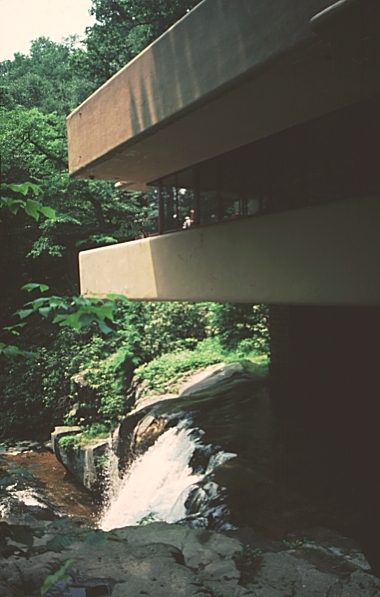 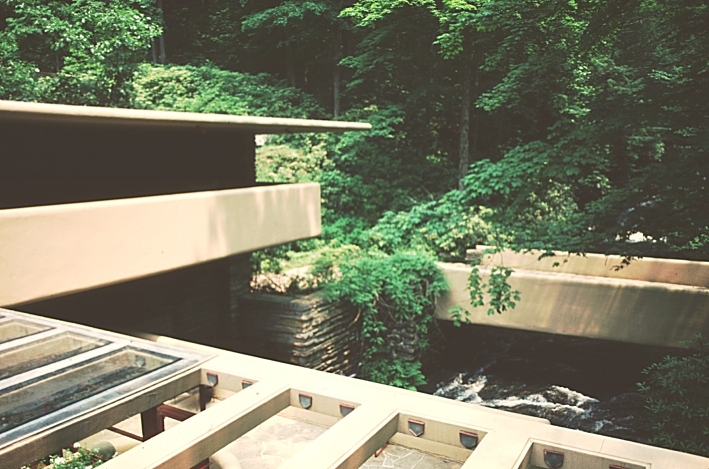 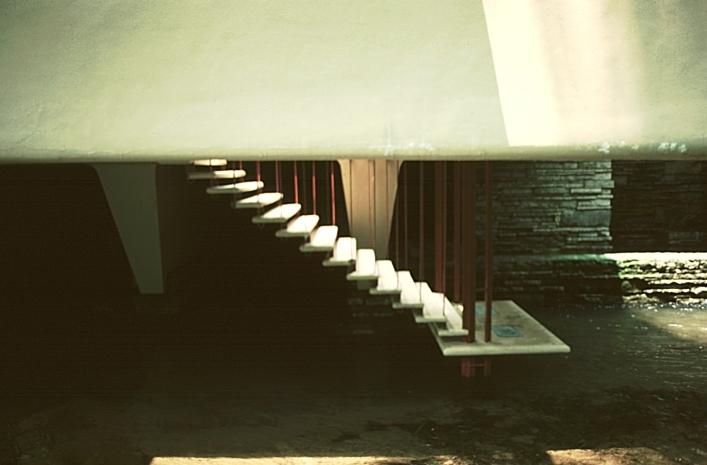 Images of Edgar J. Kaufmann House, (Fallingwater) by Frank Lloyd Wright. 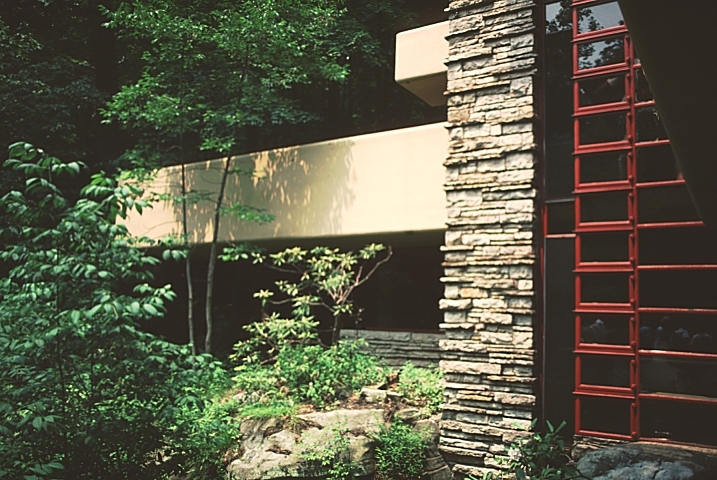 Perhaps Wright's most famous house, this was a weekend retreat for the Pittsburgh Kaufman family. 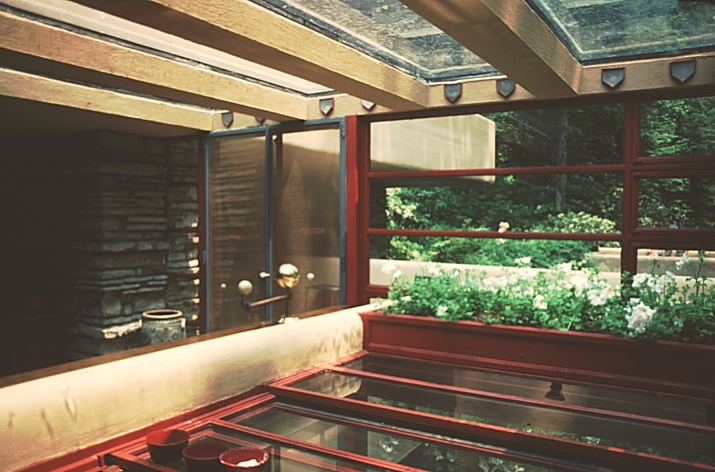 Here house and setting are spectacularly integrated. 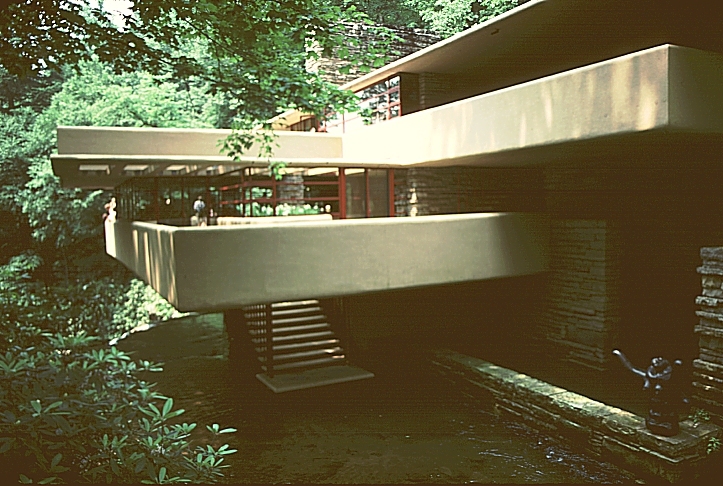 Cantilevered terraces. 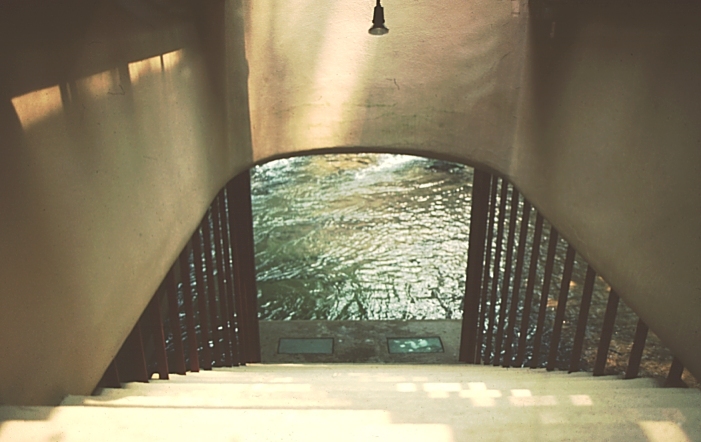 Note the steps down to the river on the left. 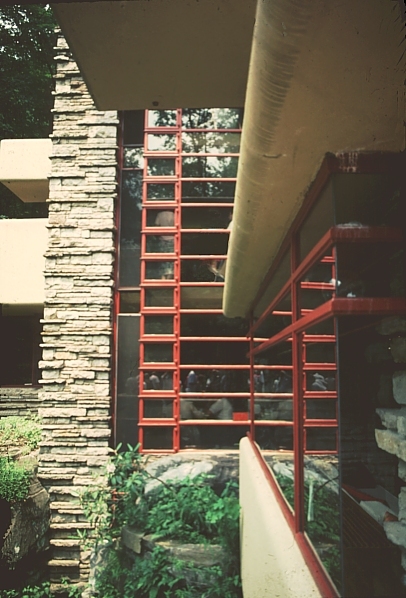 Dramatic windows extend through 3 stories. 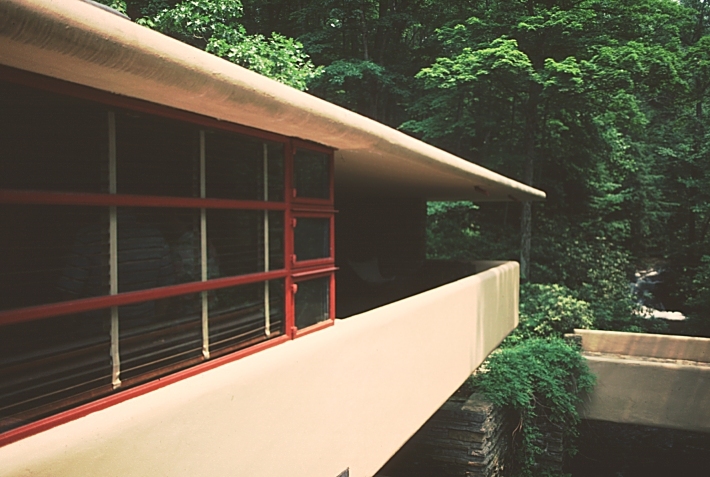 Note the open windows below on the right. 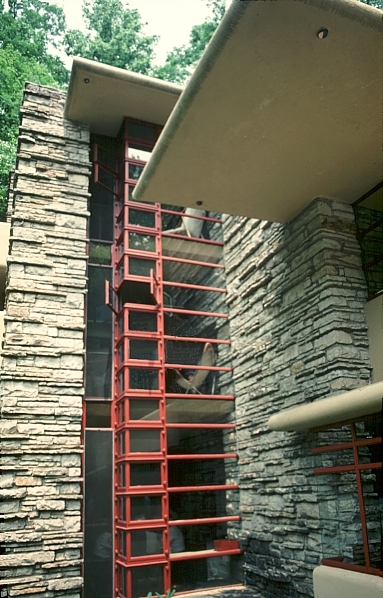 Click here to see additional views of the Kaufmann House.